Mandurah Cruises tour guide Robyn Bickell. 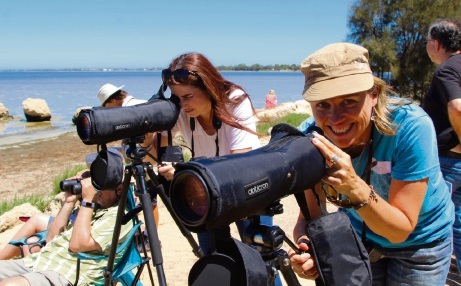 ARMED with binoculars and telescopes, a crew from Mandurah Cruises helped experienced ornithologists count shorebirds as part of the national Shorebirds 2020 monitoring and conservation program. 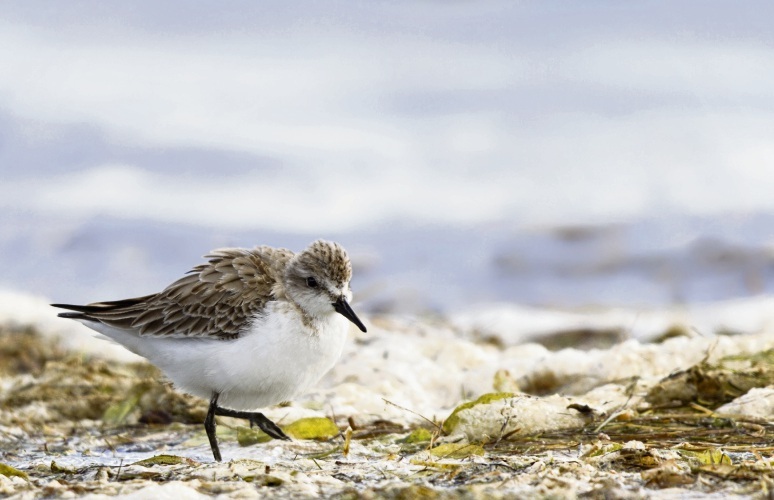 An official ‘count’ is conducted annually of rare shorebirds who migrate from the East Asian-Australasian Flyway in the northern hemisphere to Mandurah. The Shorebirds 2020 program has lacked resources in the past and needed to carry out counting in shallow hard-to-reach parts of the Peel-Harvey Estuary. For the first time in 30 years, Mandurah Cruises allowed the crew to use their shallow-draft tour boats to get closer, less restricted access to the birds this year. Run by the Peel-Harvey Catchment Council (PHCC) with Birdlife WA, the 11th annual count took place in February and spanned the full 26,000ha breadth of the Peel Yalgorup ramsar site. Experienced ornithologists with the help of 57 trained volunteers, including five Mandurah Cruises’ staff, conducted the shorebird count. The collected data will be given to the national conservation body, Birdlife Australia, and they will announce exact statistics on shorebird species numbers in coming months. PHCC chairman Andy Gulliver said early results showed an overall increase in bird numbers from last year, by almost 10,000 birds. “We counted 36,995 shorebirds across all sites,” he said.